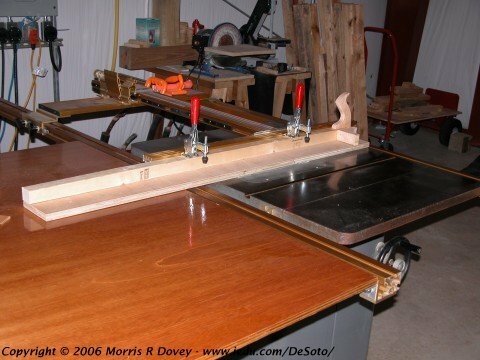 I built this jig to straighten the first edge of rough-sawn boards. Once one edge is cut straight, I adjust the fence and rip the opposite edge straight with a normal rip cut. 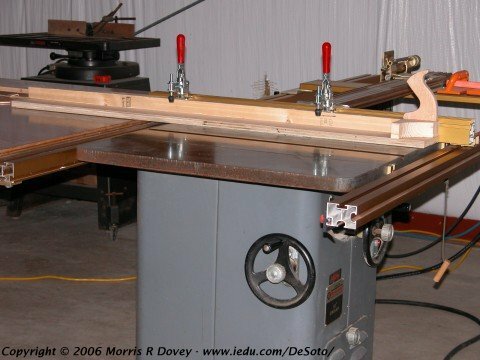 The two clamps hold the board securely against the jig's plywood base. The 2"x2" fence supports the clamps and handle; and provides a visual reference for positioning the board. In use the jig bears against the saw's fence.